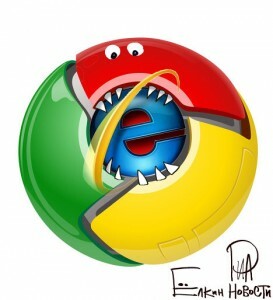 Google Chrome’s popularity is continuing to increase at the expense of other browsers. It has become #1 and is basically gaining more strength every day. Doesn’t matter much to web designers anyway, since browsers have finally started to follow the same standards (pretty much) when displaying content. Mobile devices’ share has grown by 50% in the past year. Mobile users are becoming ever more important as a demographic. At the same time, many websites are still not really well optimized for mobile. Revamping them is a huge market opportunity. Almost half of web users still have modest screen resolutions (1366×768 or 1024×768), which are typical for tablets and low-to-mid-range laptops. You can’t ignore such a large audience and building wide-screen websites is something you should only do if absolutely necessary.